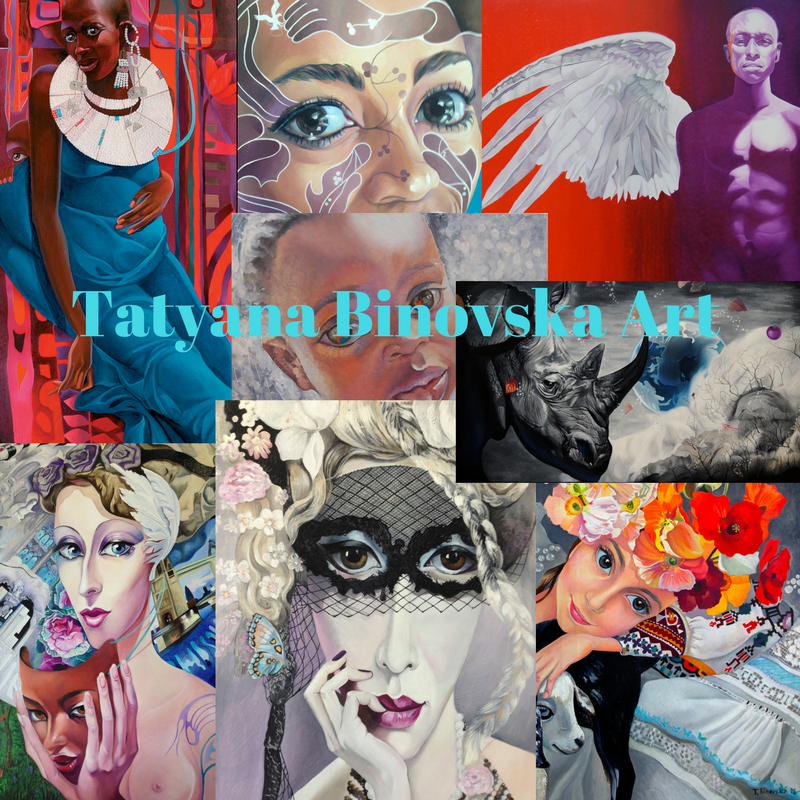 Binovska Art : My biography for my new unknown friends. My biography for my new unknown friends. Here, on these pages I'm writing about my project, "Ah, Africa", you are reading, what is very grateful to you. But I thought today, many peoples come to the blog page without knowing anything about me. Who is this Tatyana, and what happened to her before moving to South Africa? I decided to publish my biography today, as they say, to be more closer to you. Monumental work for De Medici, Bruges, Belgium; Client: Golden Tulip Group; Techniques: Cold Encaustic on the wall. Heads the unique department of Odessa Sea Port Maritime Art Gallery. 1991 Participation in the exhibition of works by Ukrainian artists, “Rekavkaa” Gallery (Krakow, Poland). 1992 “Made in Odessa” Exhibition, Odessa Fine Arts Museum (Odessa, Ukraine). 1994 Maritime Art Gallery exhibition-contest (Odessa, Ukraine). 1995 Maritime Art Gallery exhibition-contest (Odessa, Ukraine). 1998 Exhibition of works by the artists-winners of “Marina-98”, Navil-Art Gallery (Varna, Bulgaria). 2002 Harmony Program Award in Los Angeles, USA. 2003 Participation in the International Women Artists Exhibition (Berlin, Germany). 1992 Exhibition hall of the Artists’ Union of Ukraine (Odessa Branch). 1994 “Na Uyutnoy” Gallery (Odessa, Ukraine). 1996 “Na Uyutnoy” Gallery (Odessa, Ukraine). 1997 De Medici Gallery (Brugge, Belgium). 1998 “Villa Alpha” Gallery (Valkenburg, Holland). 2000 “Tatiana’s Day”, Maritime Art Gallery (Odessa, Ukraine). 2002 Liberty Gallery (Odessa, Ukraine). 1993 Creation of the Maritime Art Gallery (Odessa, Ukraine). 1996 Project MARINA International Biannual (Odessa, Ukraine). 2001 Project “The Last Tango”,in memory of Vera Holodnaya Maritime Art Gallery (Odessa, Ukraine). 2002 Project dedicated to Salvador Dali’s work, Maritime Art Gallery (Odessa, Ukraine). 2003 All-Ukrainian Exhibition “Bacchanalia” dedicated to wine.